When I started at the arboretum 18 years ago, I thought I knew so much. I had book knowledge about horticulture, but I had not learned much about native plants. In fact, information about native plants was almost non-existent. My learning curve was very steep those first few years. 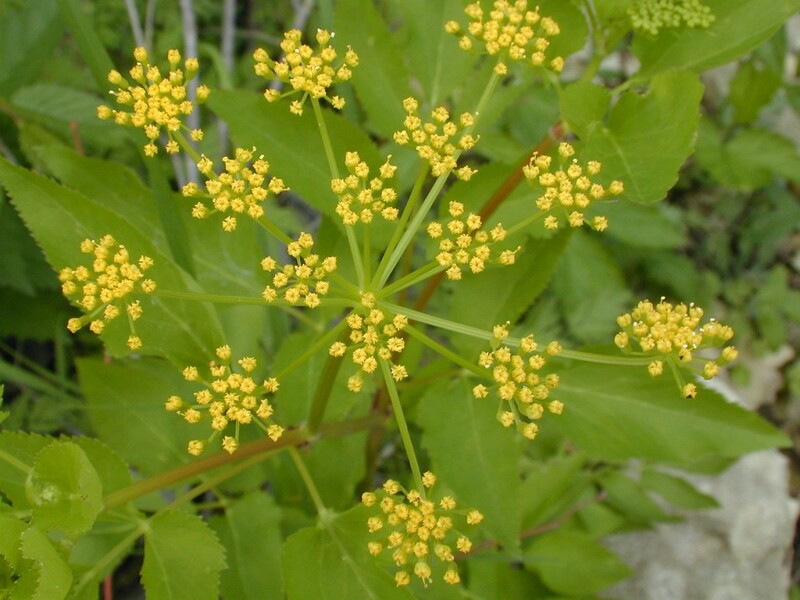 Even now I continue to learn how to garden with native plants – the lessons just keep coming. 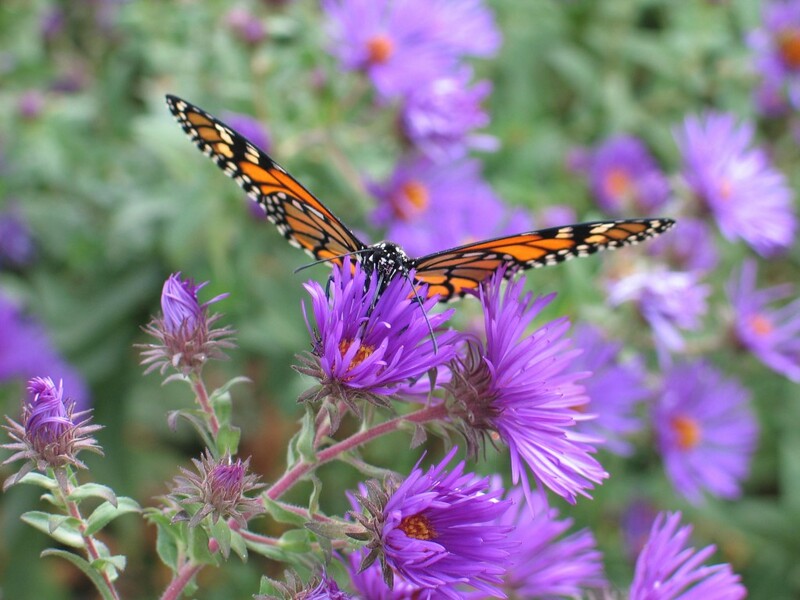 Here are the three lessons I think are essential for a successful prairie garden. I know this goes counter to our “instant everything” culture, but prairie plants don’t work that way. A prairie garden does not magically appear overnight. It takes time for those transplants or seedlings to develop root systems that will sustain them during the dry periods of the year. I remember visiting a prairie reconstruction in Wisconsin several years ago. 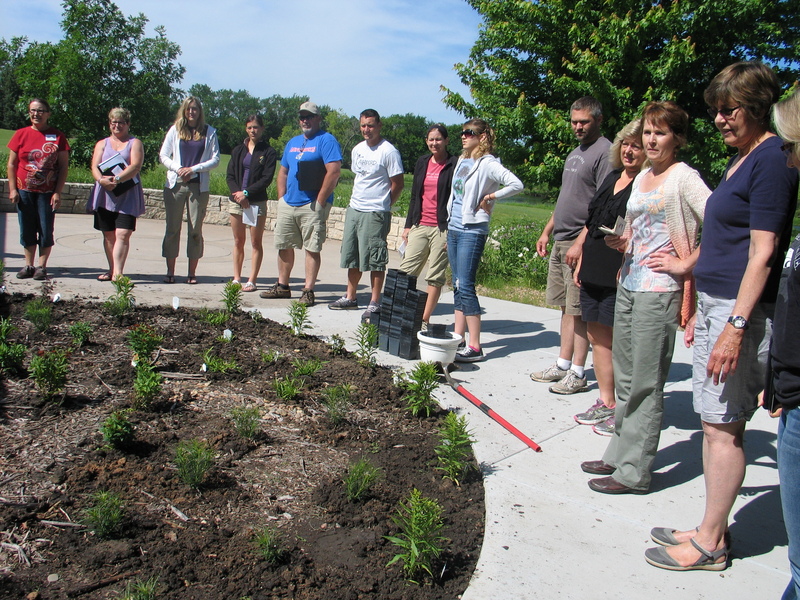 It had been established from seed 20 years earlier and they said it was just then really maturing into a true prairie. I have found that if you are patient, you will be rewarded by beautiful, strong and adapted native plants. Planting too much too soon – I have made this mistake many times. My eyes get bigger than I can manage. I like too many of these native plants and rather than working at a project in stages, I plant the whole area. I then spend the rest of the summer maintaining a planting that is too big for the time I can give it. It has a tendency to get out of hand in a hurry if I don’t keep up with it on at least a weekly basis. Plant an area that you can handle with your schedule. This lesson took the longest to learn, because it meant becoming familiar with the native plants. 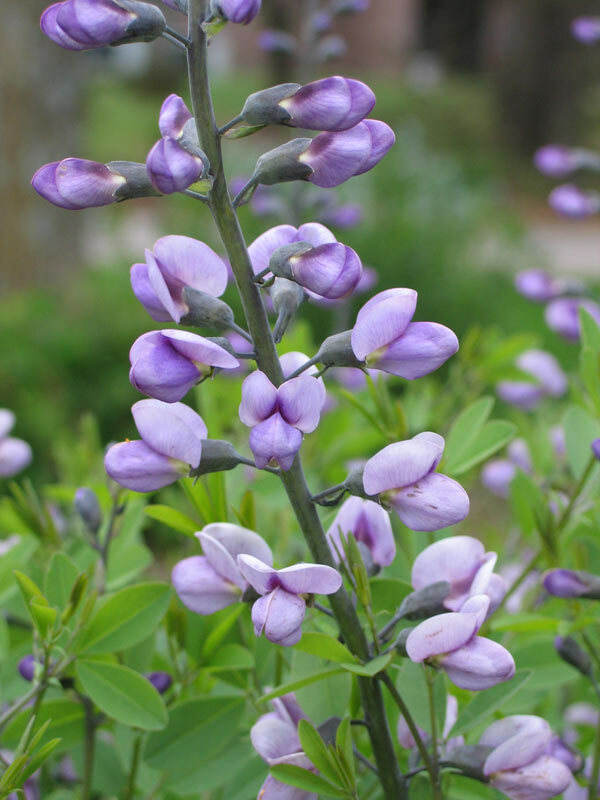 I needed to learn all about them – their bloom times, soil conditions they need to thrive, mature height and what they look like when not blooming, including seedheads and forms. Most of these characteristics had to be experienced over several years. That information is vital to planning and developing a prairie garden. 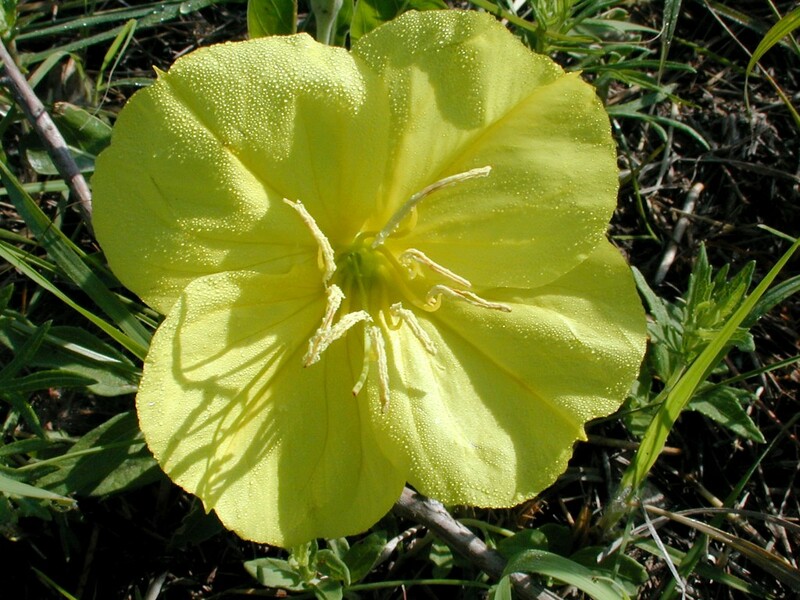 There are no Wave Petunias in the prairie, so you need to plan your garden with a succession of bloom. Combine wildflowers in such a way that there is always a new set coming into bloom and going out of bloom throughout the year. Grasses can be strategically incorporated as a backdrop or to highlight interesting seed heads and to add texture and movement during the winter. With each new season comes new revelations about native plants. They are so intriguing and diverse. There really is a plant for just about any area if you match the plants with your site. The key to understanding the prairie landscape is to keep learning. I know that I still have much to learn and experience. Each day is a new opportunity. I know it is cliché to say I have been busy, but I have been busy. We are all busy these days. It seems that is just a fact of life. You are not living if you are not busy doing something or going somewhere. We are moving so fast that we are too distracted to notice the little things. However, something happened to me the other day that I can’t stop thinking about. I had been working around the greenhouse and stopped for a few minutes to rest. If I had not stopped, I would have missed it. A ruby-throated hummingbird sipping nectar from the hummingbird mint. I was mesmerized as I watched him flit from flower to flower only three feet away. It was amazing how something so small could capture my attention. But the key to seeing it was stopping what I was doing and observing what was happening around me. That hummingbird was my first surprise, but more have followed over the past few days. I noticed a large black and yellow bumble bee that was climbing completely inside the Penstemon cobaea. He would almost disappear as he searched for the nectar deep in the flower. He would climb out and go to the next flower as he tirelessly worked each bloom for food. The stately beauty of Indigos has taken me by surprise. They rise early in the season to put on a show and then persevere through the summer, ultimately turning black as the weather cools. The vibrant blue and yellow flower spikes stand out in the sea of green prairie grasses. The birds feeding their young is another surprise. Where do they find the food for all those hungry mouths? They are constantly searching for food. 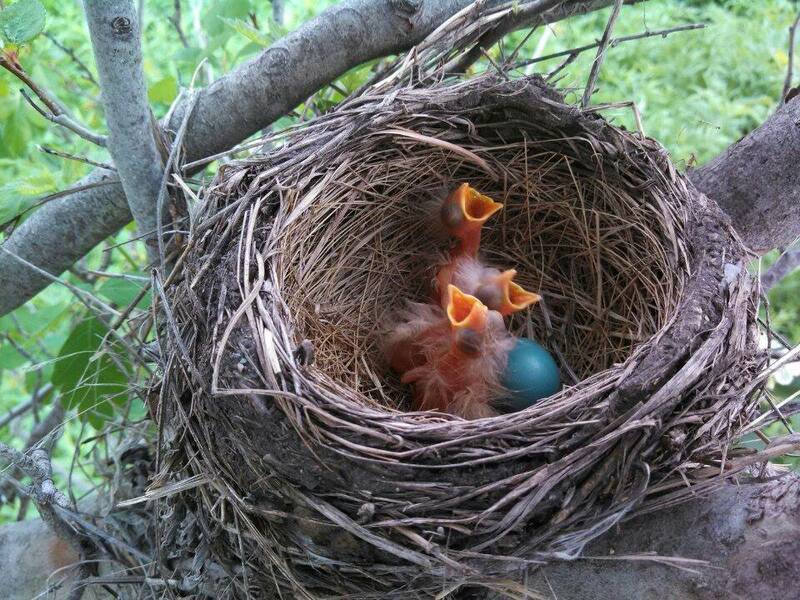 Whether robins or cardinals, they do what needs to be done to keep their brood happy and healthy. A nest of robins in a hawthorn tree. Photo by Cheri Kaufman. 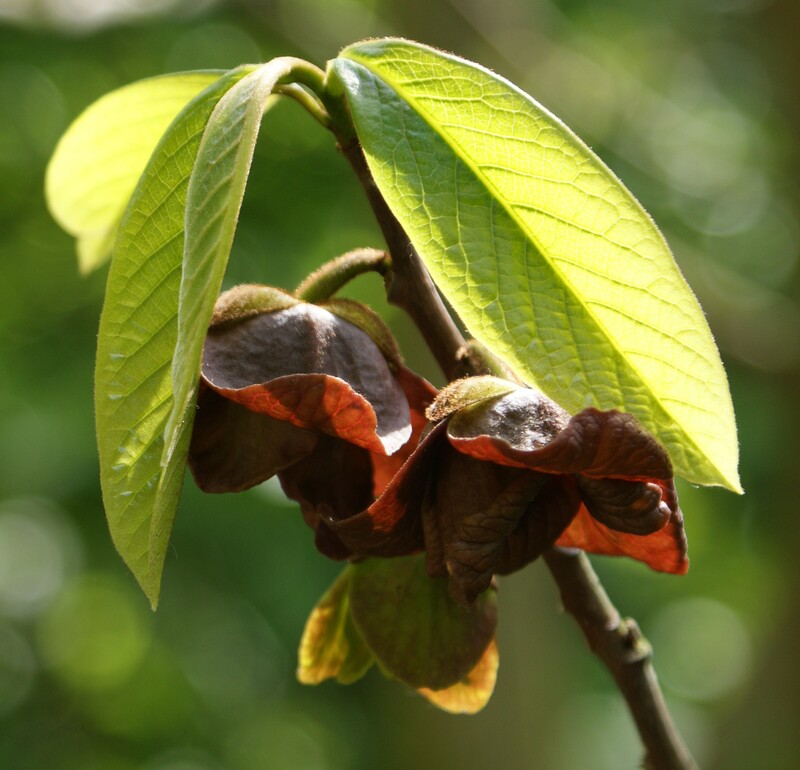 The intricate beauty of a Pawpaw tree blooming caught my attention. The reddish-brown flowers held upside down drew me to the tree like a magnet. I had seen these trees bloom before, but there was something different this year that made me stop. It was something special. It was interesting and beautiful – worth the time to witness. These are just a few things that caught my attention. I know there are many more surprises out there to discover. Should these types of things surprise us? They would surprise us less if we took time to observe more, but we are distracted too much. Stop and take in what is happening around you in your garden. Hopefully you, like I, will be rewarded by observing the landscape, by taking the time for quiet reflection in your prairie garden – leaving you with a mental note that will bring a smile to your face during your busy day. I can still see that hummingbird around those flowers. 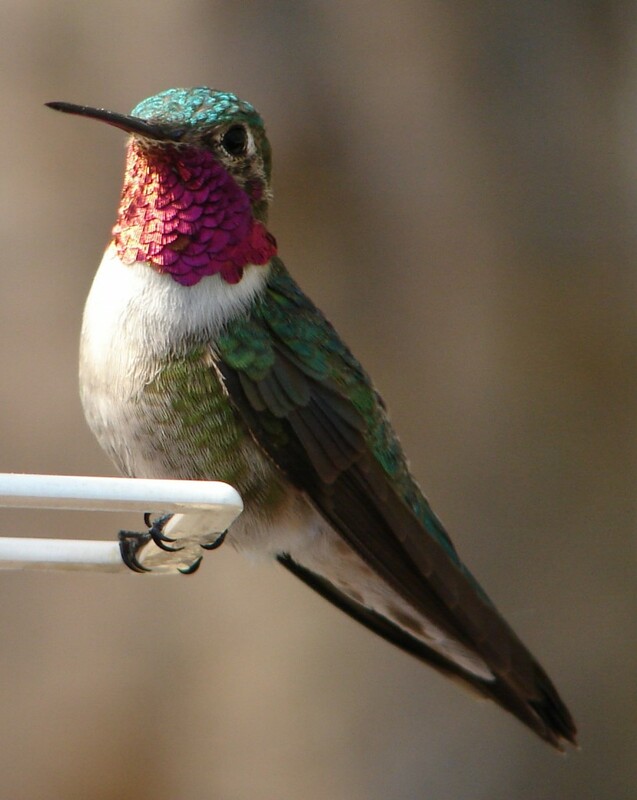 What is your hummingbird moment? Penstemons are beautiful spring blooming wildflowers that provide incredible color and attractive forms. I have been convinced through trial and error that some plants are more garden worthy than others. If matched with the proper sunlight and soil, penstemons fit that category. Whether planted in the spring or fall, all of the penstemons will bloom the next year. Right now our penstemons are putting on a show. 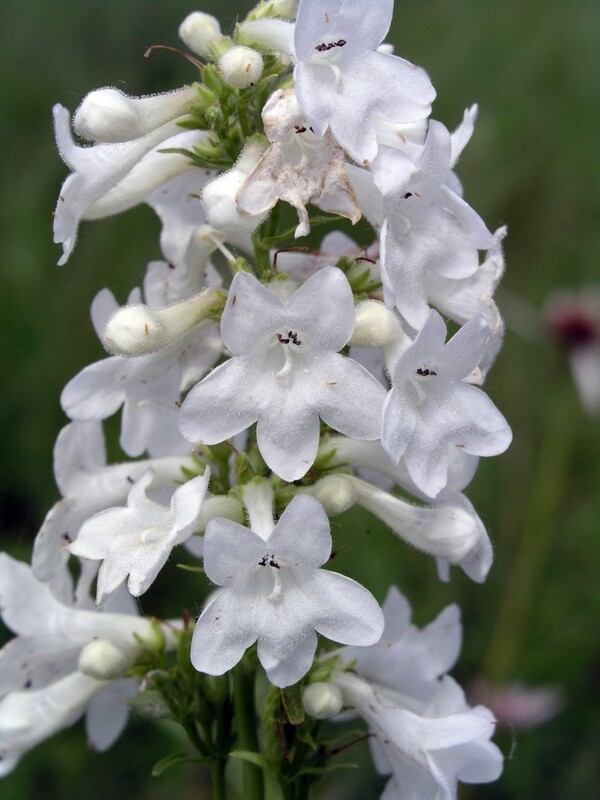 They have spectacular tubular flowers of white, pink, red or lavender, depending on the species and varieties. Here are some of my favorites for three different garden types. 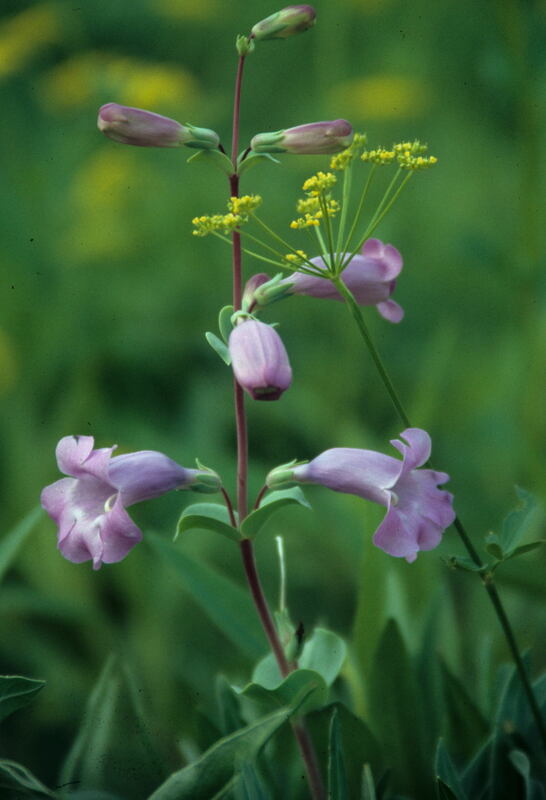 Shell-leaf Penstemon (Penstemon grandiflorus) – Found in prairies throughout the Great Plains, it has thick burgundy stems, waxy blue-green leaves and large lavender flowers. Plant in full sun in any soil that stays medium to dry throughout the year. Grows up to 3’ tall. 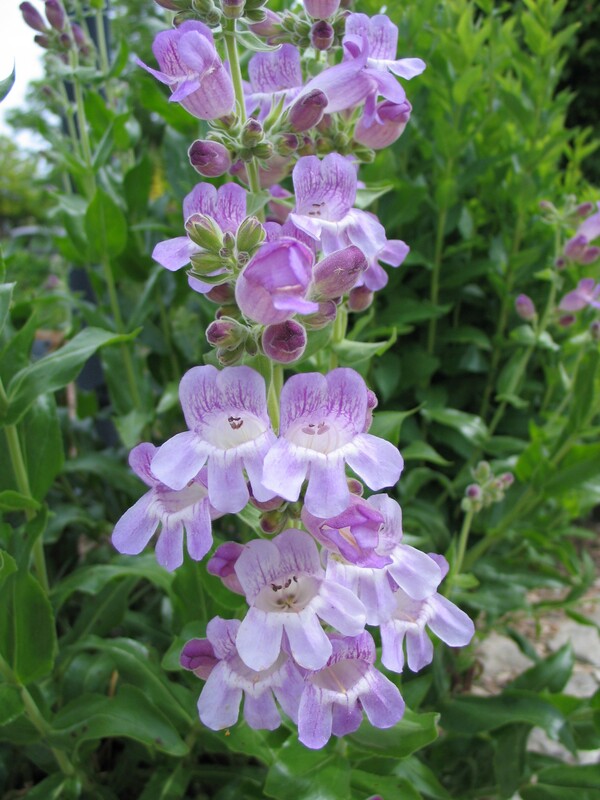 ‘War Axe’ is an exceptional strain of Shell-leaf Penstemon. Seeds collected from plants with maroon, red, purple, and pink blooms are mixed together and planted. The resulting plants will have one of these colors and each plant is different. What a surprise in the spring! Same form and cultural requirements as the species. 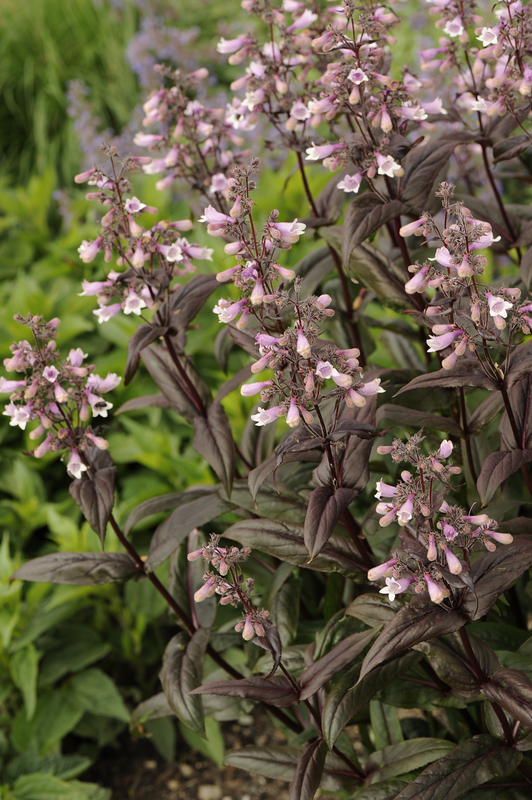 Smooth Penstemon (Penstemon digitalis) – I love this penstemon as a perennial border. The white flowers in spring have just a blush of pink and develop interesting seed heads. It adds outstanding form and texture to any landscape throughout the year. Penstemon ‘Dark Towers’ is a beautiful selection of smooth penstemon with attractive reddish-purple foliage and soft pink tubular blooms. Tube Penstemon (Penstemon tubaeflorus) -The snow-white flowers shine in the spring garden. The morning dew covers the tubular blooms in the morning. Each stem reaches for the sky, ultimately growing three feet tall. Pollinators flock to the flowers, especially large bees that dangle from flowers as they try to crawl inside to reach the nectar at the back. It is amazing to watch the different pollinators work these flowers. Smooth Penstemon is an excellent choice. It is very adaptable to wetter environments. It has thrived next to our pond edge for years with no ill effects from flooding or too much moisture. ‘Husker Red’ is a selection of Smooth Penstemon with wonderful deep red foliage. 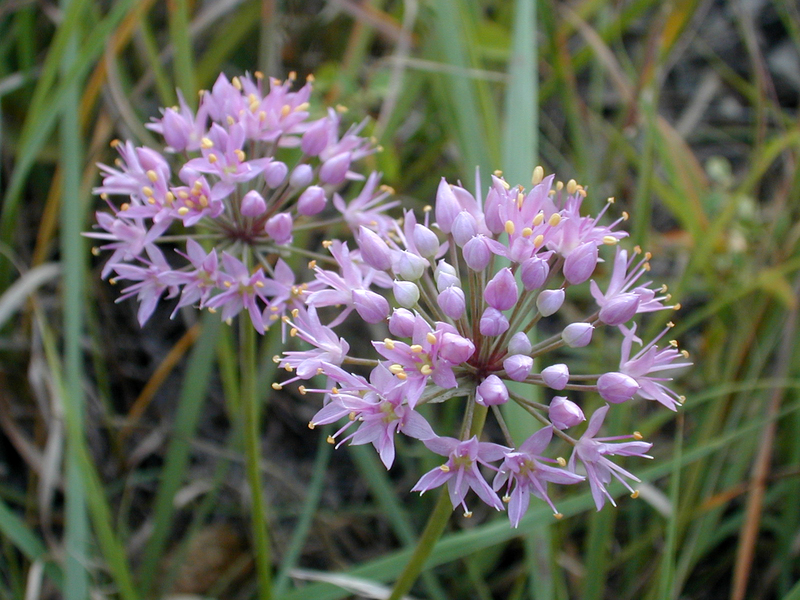 The white flowers are similar to the species with a blush of pink. It thrives wherever you plant it. Cobaea Penstemon (Penstemon cobaea) – Found regularly within the Flint Hills region on road cuts and exposed bluffs and hills, it has large white flowers with lavender lines inside the throat. Plant in full sun in a medium to dry soil. Grows to 24” tall. Rocky Mountain Penstemon (Penstemon strictus) – This penstemon is not native to our region, but is quite adaptable. 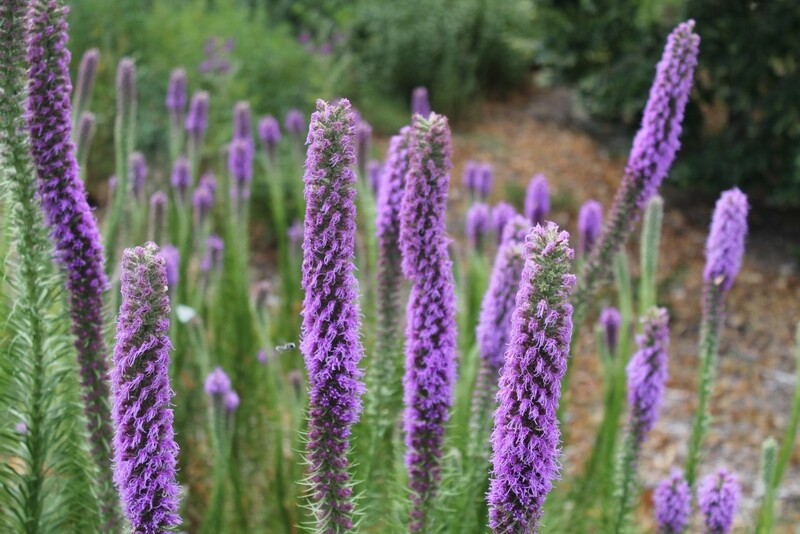 The foliage is clean and evergreen with the rosy-lavender blooms held on one side of the upright stems. It grows to 24” in full sun and a lean, medium to dry soil. Establish these penstemons like any other perennial with daily watering for the first few weeks after planting and check them periodically through the year. You will be rewarded by these resilient wildflowers. They have spectacular flowers that you must experience. Wow is all I can say. 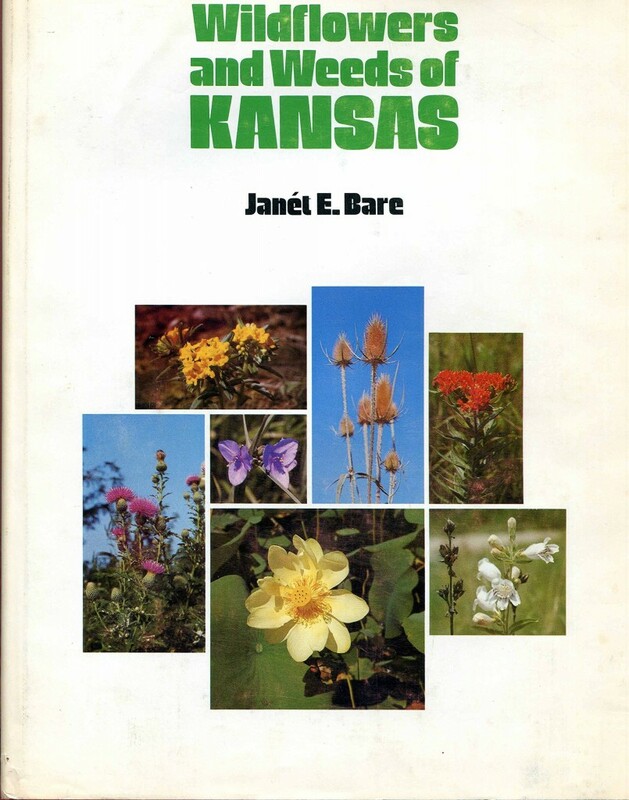 For 35 years, Janét E. Bare’s popular book Wildflowers and Weeds of Kansas has been one of the standards for plant identification in Kansas. 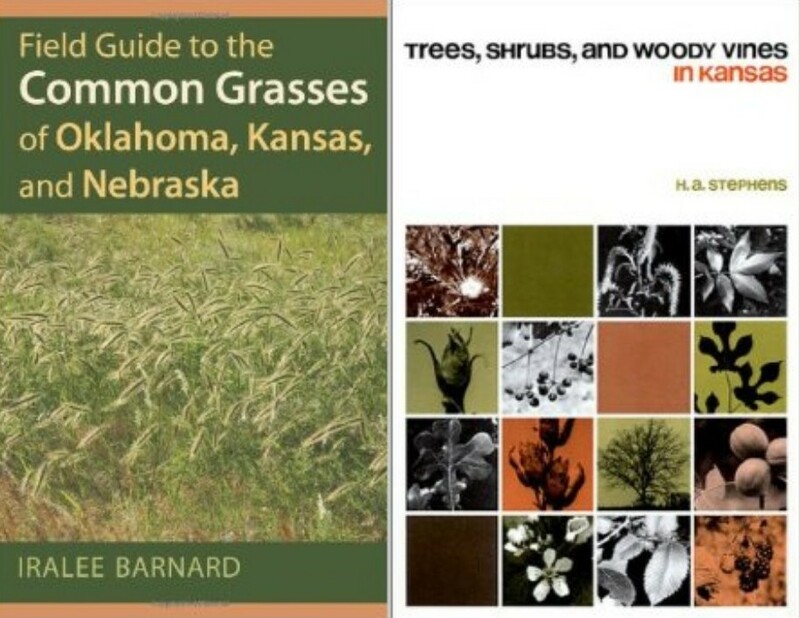 When I moved back to Kansas in 1998 with a fresh botany/ecology degree, a new job in environmental consulting that required plant identification, and a desire to know the name of every plant I could find, I knew that Bare’s hardback book with mostly black and white photos had to be in my library. The going rate for this 509-page out-of-print book was around $100 at the time and I felt lucky to find a nice copy at a used book store in Kansas City for $50. For Kansas, I have collected to date what I consider to be fourteen helpful plant identification resources (see list below). In addition to Bare’s multiple decades standard, they include a number of good paperback books with color photos, some with line drawings and county maps, and the behemoth 1402-page hardback resource Flora of the Great Plains as the most comprehensive, but very technical resource without photographs. For years, I carried a bulky collection of these books in a backpack and always had the rest close at hand back at the car or office. 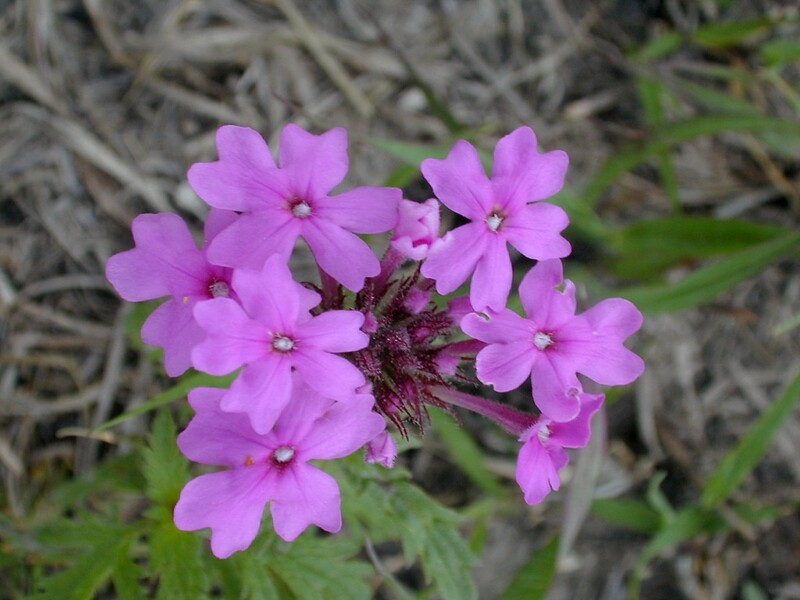 Thanks to a new publication by University of Kansas Press, however, wildflower identification in Kansas just became much easier. 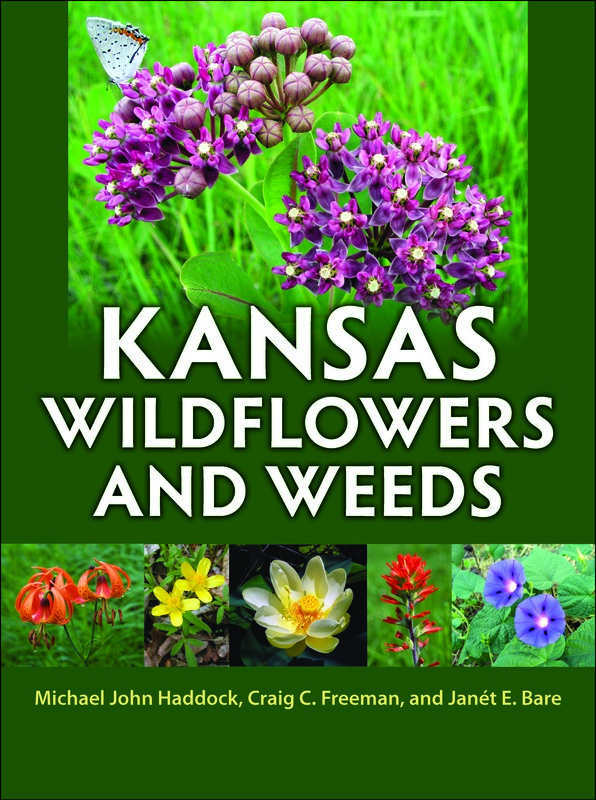 Janét Bare teamed up with two of the most talented botanists in the state, Craig C. Freeman and Michael John Haddock (both with publications of their own – see below) to produce the updated Kansas Wildflowers and Weeds, a must-have resource for plant enthusiasts. As the dust jacket states, “For purposes of identification, conservation, study, or the simple pleasure of thumbing through, it is a resource without parallel.” It has 742 color photographs, up-to-date nomenclature, taxonomic descriptions and a dichotomous identification key, and interesting information with regard to habitat, commonness, moisture preference, phenology, ecology, herbal/medicinal traits, DNA and more. My one critique of the book is that it does not include helpful county presence maps (only has region presence codes), but I’m sure the authors considered this and figured that including these maps would add even more pages and size to an already large 518-page resource. Put this new book in your backpack along with Iralee Barnard’s new grasses resource and H.A. Stephen’s woody plants book (see list below), and you should be able to identify most common plants found on an outing in Kansas.